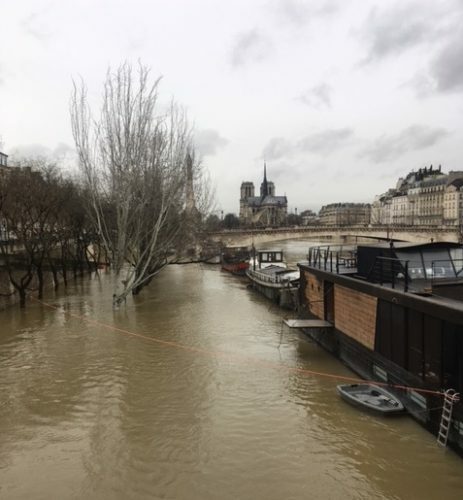 The Paris floods crested Friday, Jan. 26, at almost six meters, therefore slightly lower than in June 2016 . They did not even make the ‘Top 10’ among the most destructive floods of the past 100 years. The monster flood of 1910 saw the river’s level rise eight meters and 60 centimeters. However, the inhabitants in the communities upstream from the city, who have been underwater for days and have now been flooded twice in 18 months, were certainly entitled to call it a natural disaster brought on by the global warming. 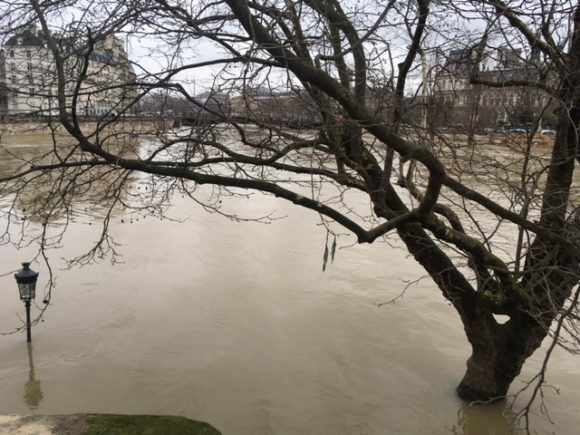 The submerged tree and lamp post in the foreground show the depth of the flooding on the Seine. The Hotel de Ville stands at right in the background while the Ile de la Cité is at left. Photo by Sylvia Logan. Monumental work has been done in the past century to protect the capital and the resultant price is paid by the surrounding areas. Paris is such a strategic place that it has to be protected by a system of locks and reservoirs, both up and down stream. Besides, France is endowed with numerous waterways and this is particularly true in the Paris basin. 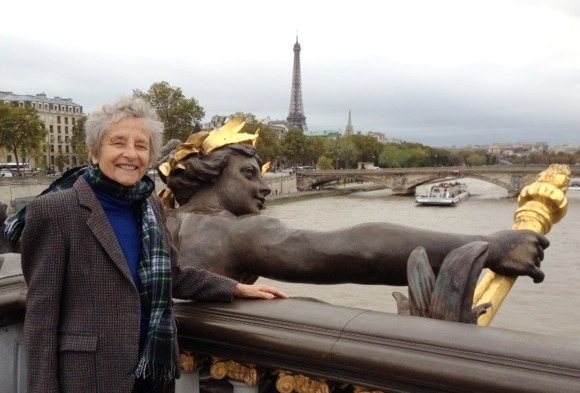 The Seine’s tributaries — Marne, Yonne, Aube and Loing — flow toward Paris. In the case of extreme precipitation, these small rivers easily overflow and submerge their unprotected banks. The small towns of Champagne, Moret or Thomery, only 30 minutes by train south of Paris, had disappeared underwater by midweek. 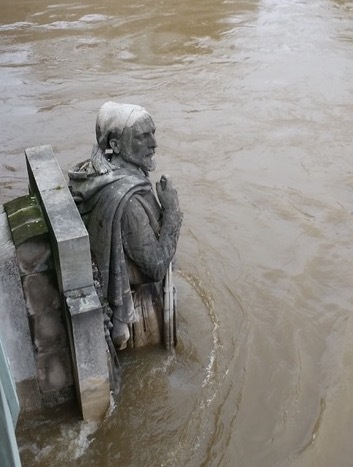 The banks of the Seine are submerged while the Cathedral of Notre Dame still stands proudly in the background. Photo by Sylvia Logan. In prehistoric times, the Seine was a shallow stream, indolent and undisciplined, moving its bed all over the place. The most northern of its secondary beds followed what is today the ring of Grands Boulevards and flowed from the Bastille, along the hills of Buttes Chaumont and Montmartre, and back down to the main channel below the hill of Chaillot. On the Left Bank, the Seine also had a secondary bed, which used to flow under the modern Boulevard Saint Germain. 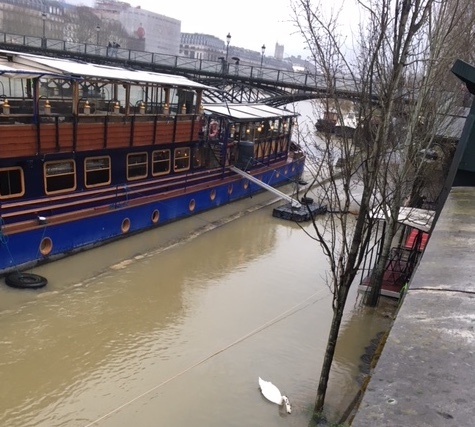 The restaurant ”Calife,” which is moored in the middle of the river near the Pont des Arts, is flooded. 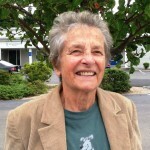 Photo by Sylvia Logan. Between 1991 and 1993, excavations prior to the building of the new Bercy district, brought to light spectacular remains of human settlements on the banks of the wandering Seine river. Neolithic pirogues dating back to more than 3,000 years BC are exposed today in the Orangerie of the Carnavalet museum. They are the oldest found in Europe. The construction of massive stone quays in Paris started in the 14th century. In 1991, they became part of the UNESCO World Heritage. By midweek , as the peak of the floods approached, there was no panic among the city officials, engineers and technicians, but a feverish activity to prevent disaster. 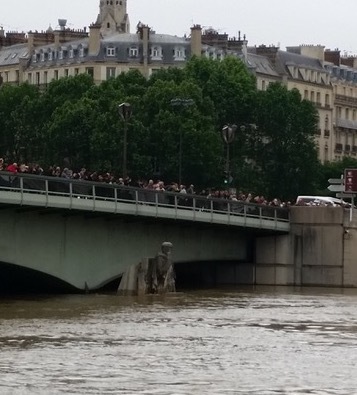 By way of precaution, the RERC running along the river, was closed until the end of the month. Already the treasures exposed on the lower levels of the Louvre and Orsay museums had been moved to safe locations. The great danger was that the dense network of cables, pipes and wiring, providing gas, electricity and internet, and lying eight floor deep underground would be reached by the water. The coalition of France, England and the Ottoman Empire wanted to put a stop to the expansionist policy of the Russian Tsar Alexander II (1856-1881.) The Zouaves were part of the Algerian light brigade in the days of French Algeria — their bright red baggy pants were famous. 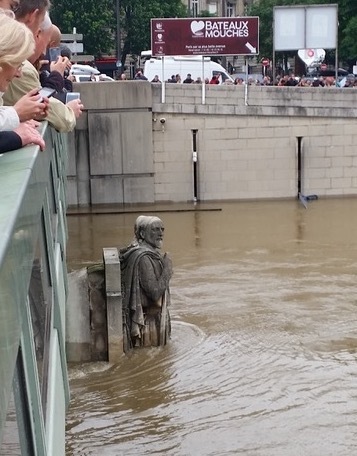 Although not very reliable – since the statue was raised by 40-80 centimeters in 1970 – the Zouave remains the most popular indicator of the severity of the floods in Paris.